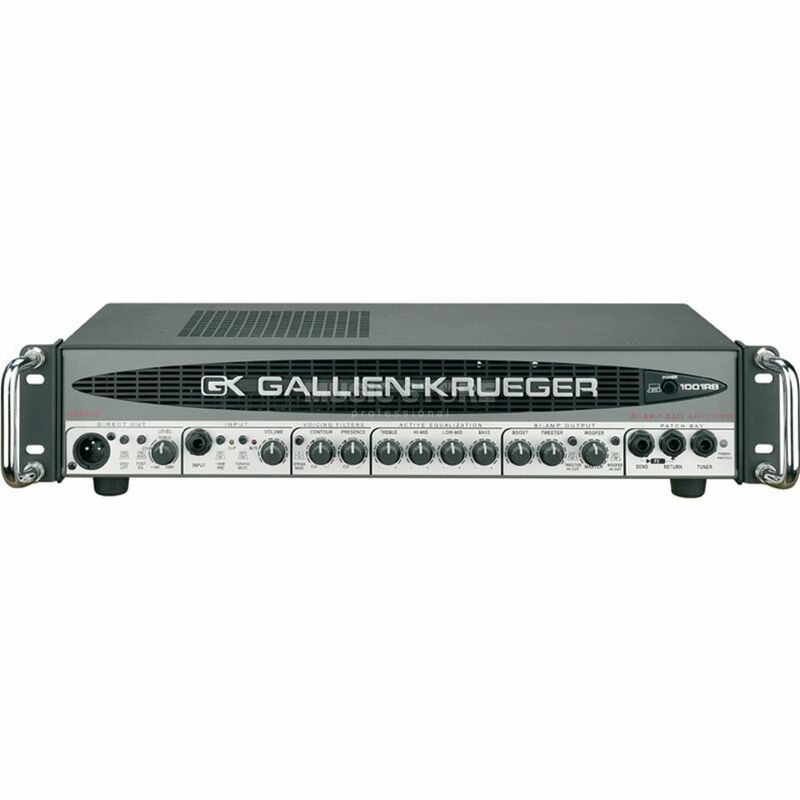 The Gallien-Krueger 1001RB-II is designed to deliver the warm tone and output that leads to exceptional musical perfmance. With 700W + 50W, the Gallien Kruger 1001RB-II head is capable of driving multiple cabinets with ease while maintaining sound integrity and response at the highest sound levels. Link it up to two RBH horn-loaded cabinets and you've got a full stage unit that'll rock any house. This amp is amazing! Great sound configuration. Sounds just like a tube amp if u want or a really precise amplification if u need. A professional tool that has the power to practice and play in medium to big avenue. 5 stars!